Macheda got into fame in 2009 when he scored a last minute winner for Manchester United in a 3-2 victory at home to Aston Villa. The 25-year old netted three times in 19 appearances before leaving permanently in 2014 for Cardiff City. He netted just eight times in 33 appearances for Cardiff City over two seasons. The 25-year old lamented that he wasn’t pleased with how things were against his plan in Cardiff, Wales, and after battling with injuries for the last few seasons, he felt the time was right for him to leave Cardiff. Macheda at an earlier time seemed ready to return to his native country, Italy with Pescara, but now wants to remain in England after his proposed move fell through. The Italian featured for Watford’s Under-23 side, scoring a penalty in a 4-2 defeat to Hull City as he bids to win a contract at Vicarage Road. 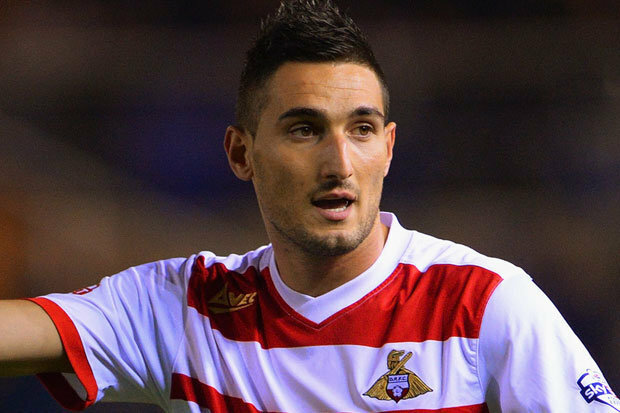 Watford took the former Manchester United striker, Federico Macheda on trial when he became a free agent after being dumped by Championship strugglers, Cardiff in August. Macheda could provide competition for Odion Ighalo and Troy Deeney of Watford if their coach, Walter Mazzarri decided to sign the Italian. Currently, the Italian is with no club as he hopefully awaits Walters Mazzarri’s offer when the transfer window opens.